This five day Neuro-IFRAH® Organization approved advanced course is designed for physical and occupational therapists and physical and occupational therapy assistants who have successfully completed the Neuro-IFRAH® Certification Course. This course will cover concepts from the well rounded whole person and functional Neuro-IFRAH® model for normal gait. Participants will be provided with practical applications and step by step instructions for the reacquisition of skills that are essential for normal gait. This course is authored and designed by Waleed Al-Oboudi who is renowned for his superior and unmatched visionary concepts and highly effective and creative techniques. This course promises to increase clinician’s assessment and management skills as well as introducing concepts that will be unmatched in expanding participant’s perspective of normal gait. 1. 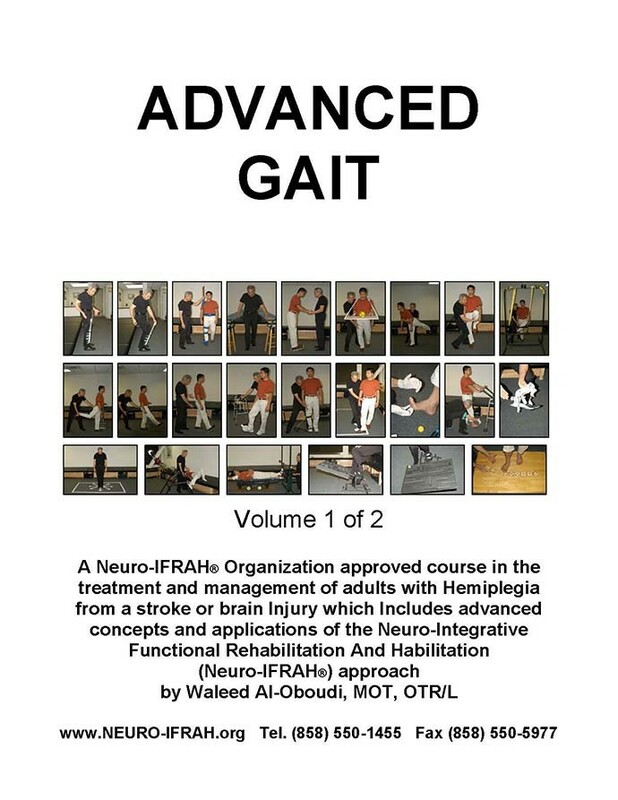 Identify Neuro-IFRAH® concepts related to normal gait. 2. Identify concepts related to developing an effective well rounded gait assessment. 3. Identify missing components interfering with normal gait on a patient. 4. Develop an effective treatment plan on an actual patient to restore identified missing components interfering with normal gait. 5. Demonstrate effective application of management strategies learned to resolve patient’s impairments and improve the function of gait. 7. Demonstrate effective use of tools to grade and enhance effectiveness of results. 8. Integrate concepts related to whole person function, walking, the environment, and adaptation. 10. Upon successful completion of the course, participants will be Neuro-IFRAH Advanced Trained®.